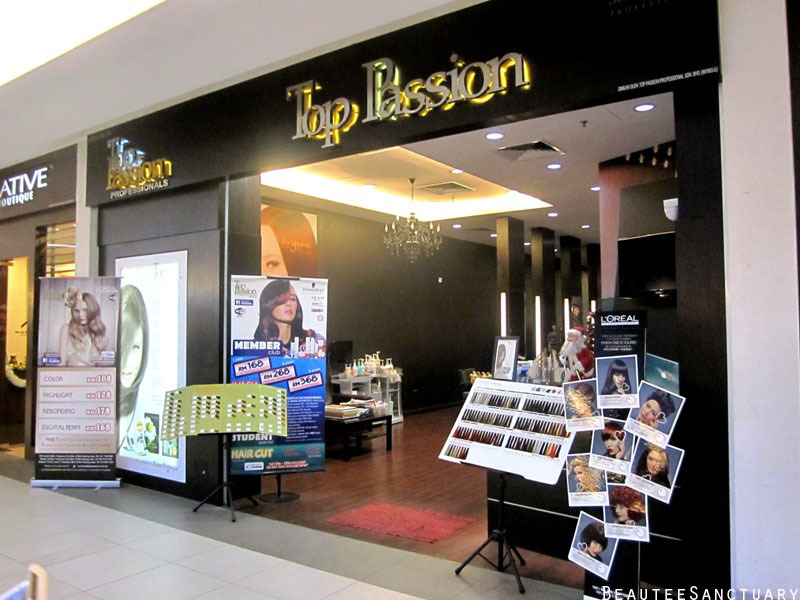 My friend Lina and I discovered Top Passion via Groupon, the offer was RM59 each for Cut+Wash+Hair Spa+Scalp Treatment. We bought the 2-person promotion in order to get RM59 each, or else it's slightly more expensive. 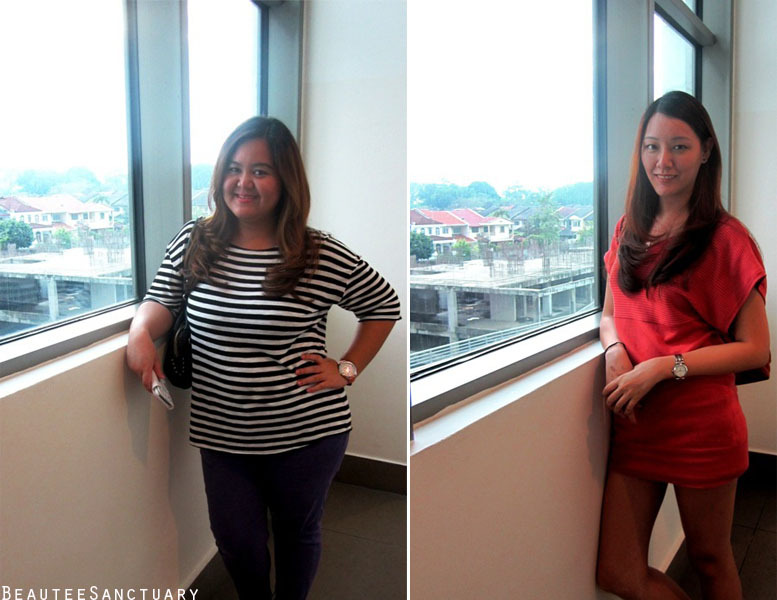 We were given two outlets to choose from, Tropicana City Mall and One Utama, we chose Tropicana. 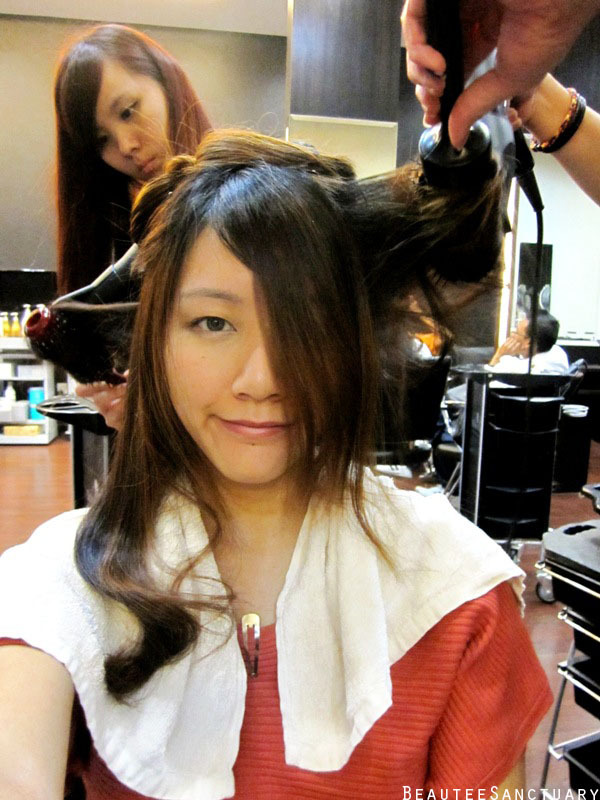 In this picture, the lady is applying the treatment for the scalp. Love this too because the sensation was icy minty cold. 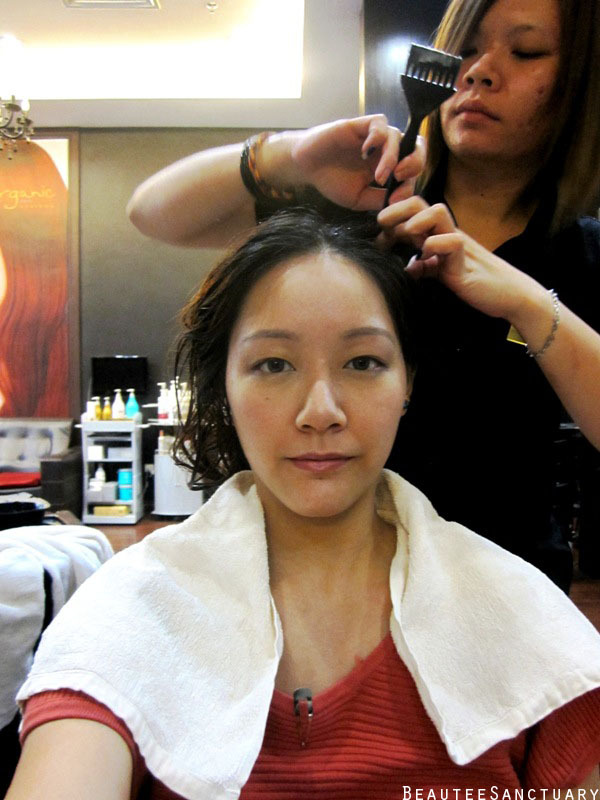 After application they would rub the treatment and massage your scalp for better absorption. 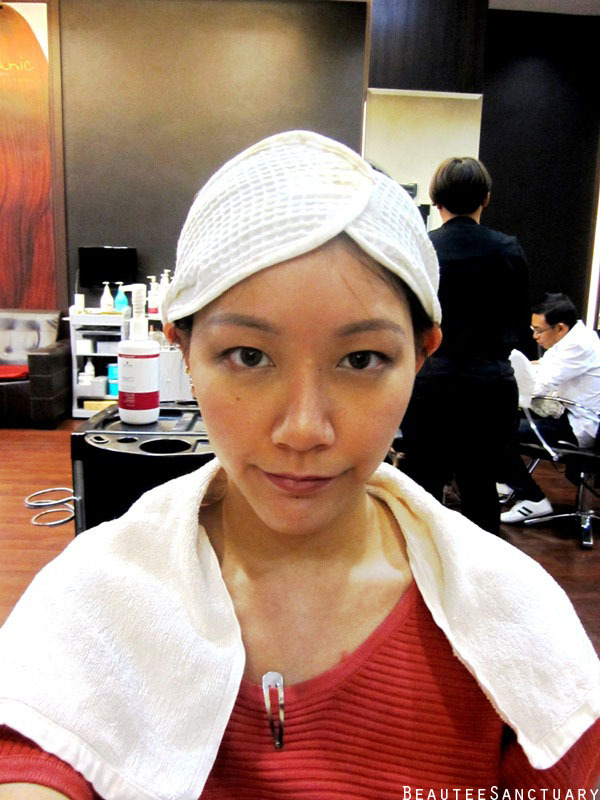 Hair spa, they apply the hair mask onto my hair. 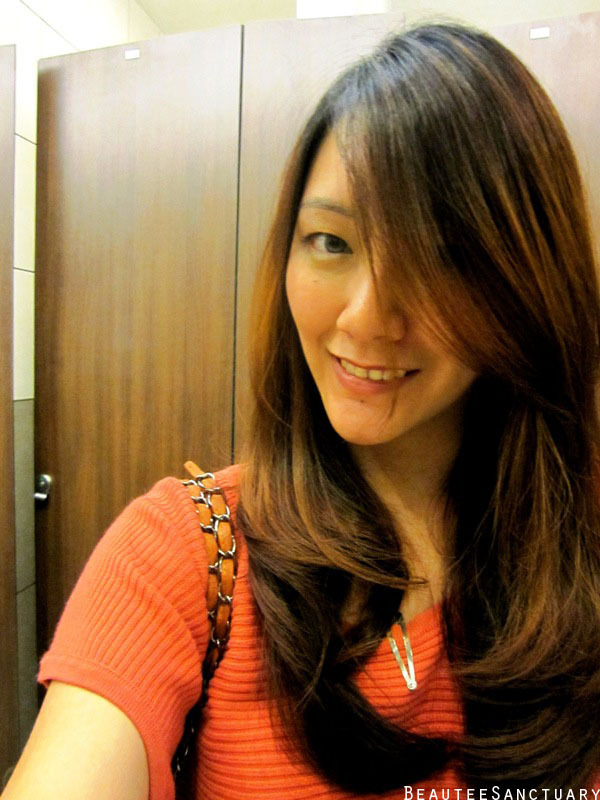 Unlike conditioner, they applied thoroughly by separating my hair into small sections and made sure all of my hair have been thoroughly applied with the hair mask. My head is in the steam! 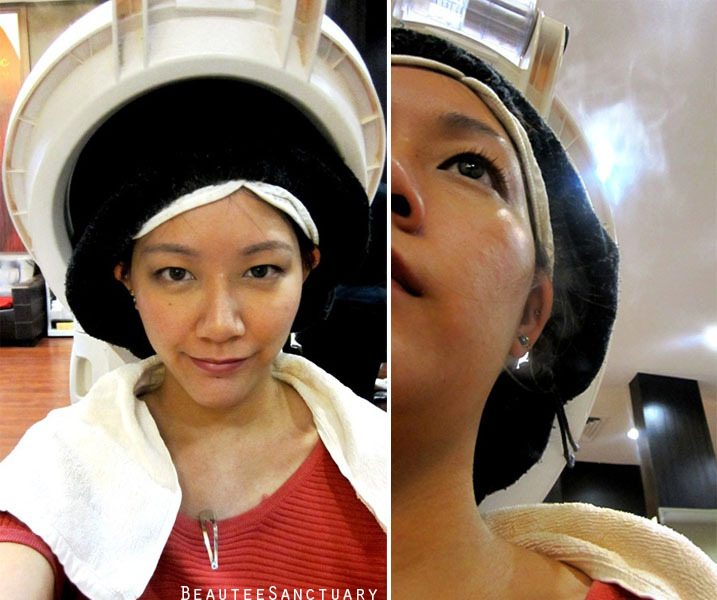 For the first few minutes I could not feel the heat because of the scalp treatment. The minty icy cooling feel was really strong until I could not feel the heat from the steam until much later on. After rinsing my hair, it was time to dry and style it. 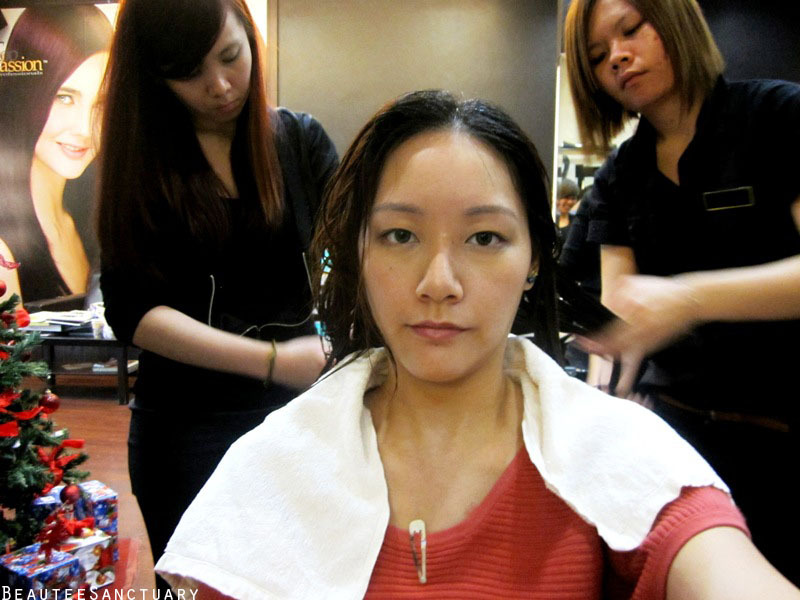 Honestly I think they should be more gentle when drying the hair, using the round comb and kept combing the same area for countless times have hurt my scalp a little. :/ But not too big of an issue, will just inform them the next time. Another thing I don't really like is how they comb my hair flat instead of creating some waves at the top from the beginning. 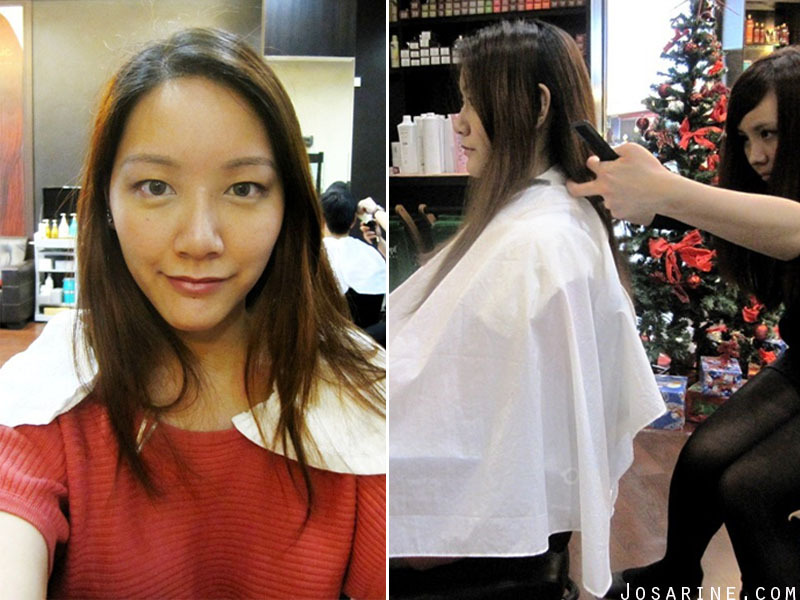 Lina was done earlier than me because the hair stylist cut both of our hairs, she cut hers first then mine. 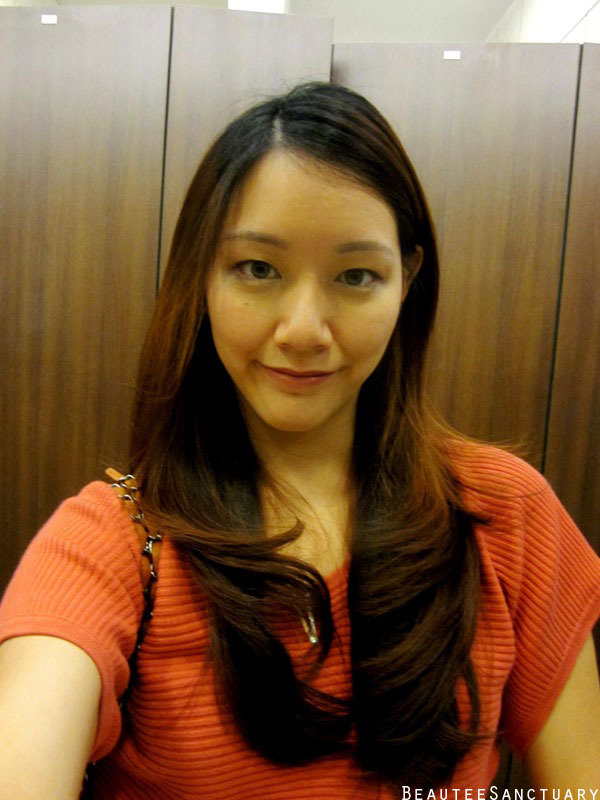 Look at Lina's hair now, compare this picture with the picture above, can see her hair is so much smoother and less frizzy as compared to before. Here's the pricing, OCS means organic or herbal. 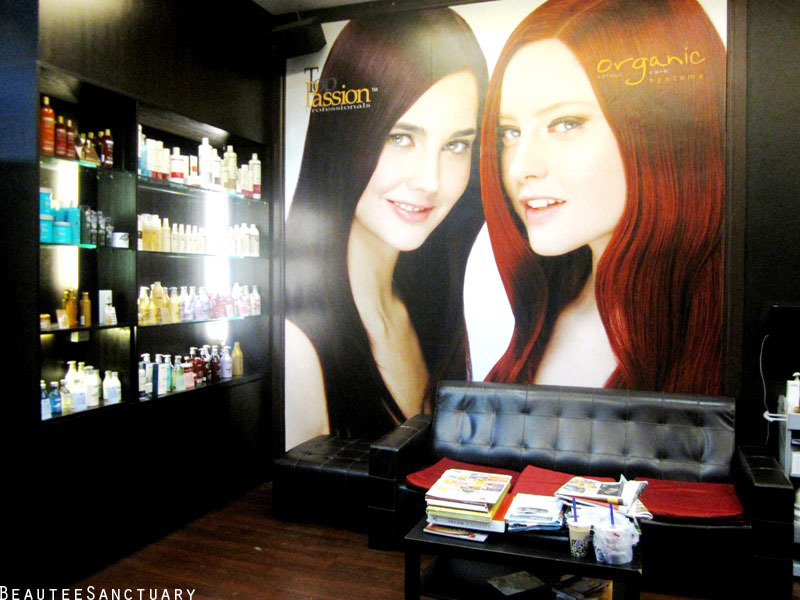 For normal scalp treatment they use Bonacure. 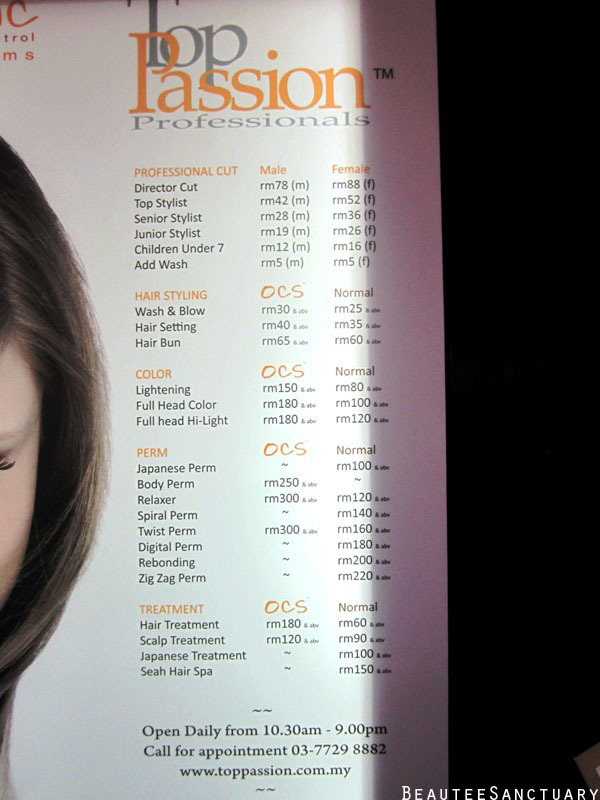 That's about it, to conclude I would say this salon by far is pretty decent. 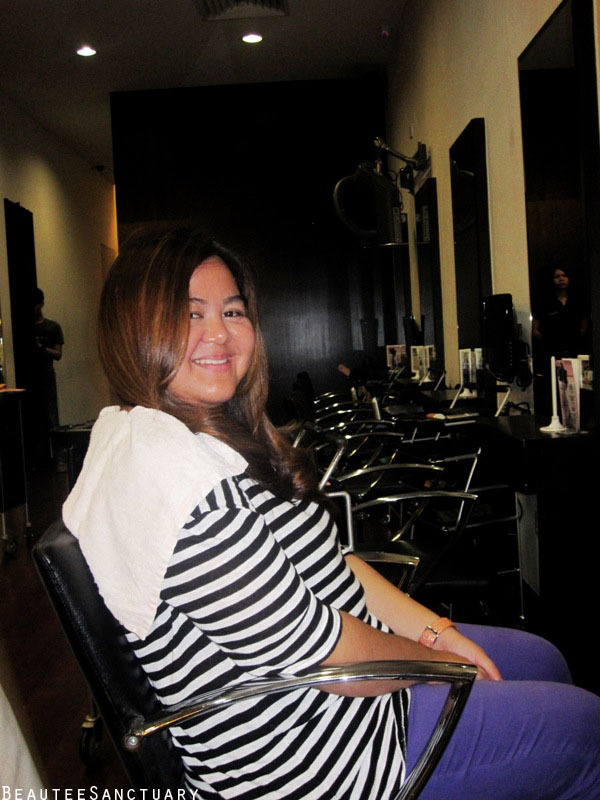 I like the way my hair stylist cut my hair and will most probably go back to them for a hair cut, and as for scalp treatment, if there's any where else that's cheaper then i might go for the cheaper one. 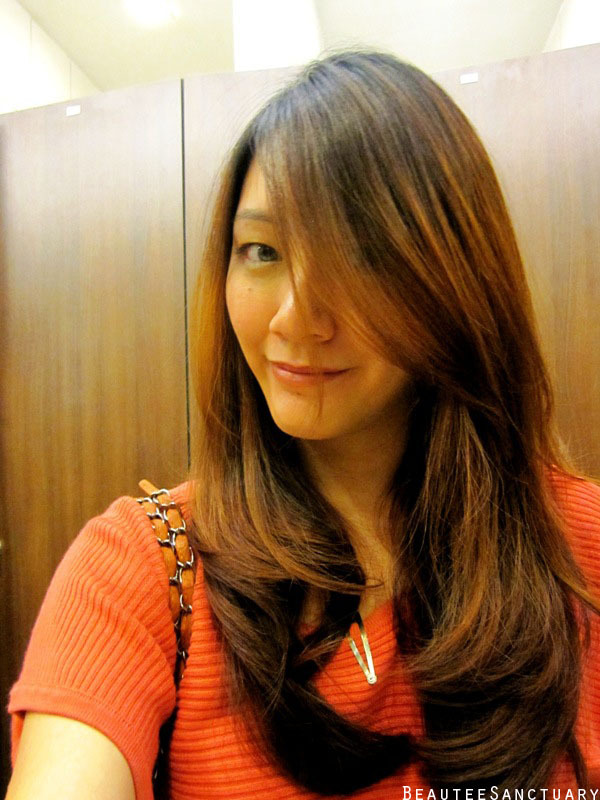 Even so I will come back here again for my hair cut and probably by the same stylist, Sophia Chan. I like the slight curl at the end of your hair. You look so chic in it. 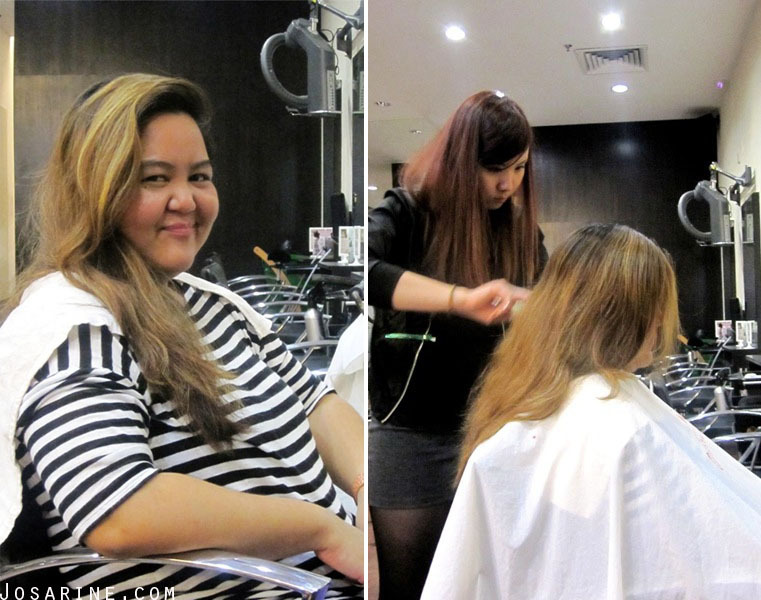 Wah big difference with your friend's hair!